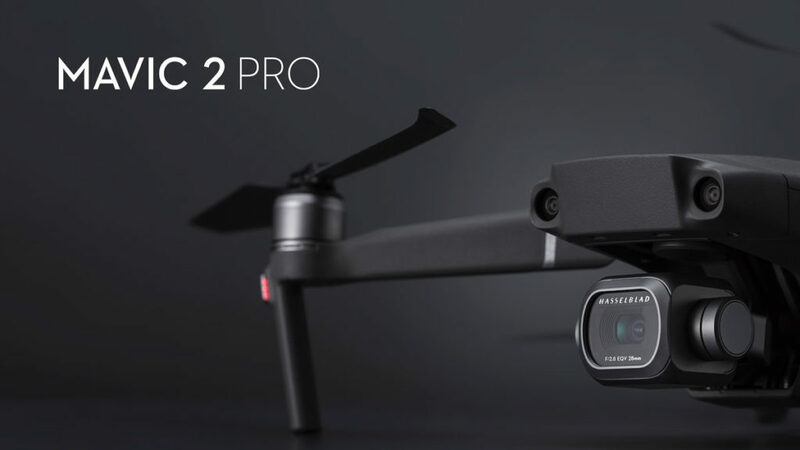 DJI recently announced the latest pair of DJI Mavic 2 drones with technology geared towards the more demanding and professional aerial photographers and cinematographers. 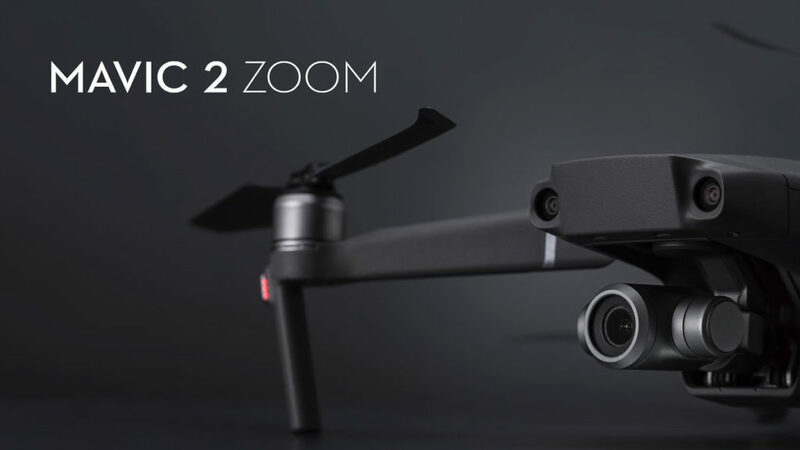 The newly announced pair of drones will go by the Mavic 2 Pro and the Mavic 2 Zoom. Below is a breakdown of some of the specs each will carry and how they will benefit the aesthetic hungry photogs’ and video buffs of the world. Design, Image Quality, and the need for better color have been the driving forces behind drone development. The demand for HDR and 4K video resolutions also add to those aesthetic thirsts. With the release of the Mavic 2 Pro many of these needs/desires to improve in drone video technology are addressed. The new Mavic 2 Pro features an amazing camera from the medium format leader Hasselblad. The camera built on to the Mavic 2 Pro has a large 1.0″ image sensor capable of 10 bit color, 20 megapixel still capturing capability, and an adjustable aperture of F2.8-F11. So what does all this mean for the average pro-sumer? Essentially it means that with the Mavic 2 Pro a more focused development towards HDR and 4K improvement has been made using Hasselblads camera expertise. 10 bit color, for example, is a big deal when it comes to showing or playing content on a 4K/HDR capable TV. Just how much better is this over the first DJI Mavic Pro drone? Well we know its a lot, but DJI goes on to confirm that with the 10 bit color capabilities, the new DJI Mavic 2 Pro has over 4 times more color per channel than the first version. This makes a world of difference when displaying on a beautiful new OLED or QLED television that can replicate these colors. Additionally 10 bit color allows for a world of possibilities when it comes to editing with the improved HDR. HDR or High Dynamic Range essentially allows for detailed but dark shadows and again detailed but bright highlights. Essentially HDR in the new Mavic 2 Pro will allow for a sunset to show up extremely bright while still showing the darker foreground and not losing it to darkness. The Mavic 2 Zoom, the sibling of the Pro on the other hand, strives to perform not so much better or worse but rather in different way. Its sensor is smaller coming in at 1/2.3″ with 12 megapixels. Using a built in patch mode however, you can achieve a higher pixel image; 48 of them to be exact. This means that you’ll be able to create super sharp images when you use the 9 image patch mode. For video the Mavic 2 Zoom also dons a very versatile zoom capability of 24-48mm. This range is equivalent to about 4x zoom and because it is performing this zoom optically, there is literally no loss in quality(as opposed to digitally). Now if you are all about getting multiple perspectives or would love the idea of getting a bit closer to things, this is the drone for you. The Mavic 2 Zoom also has a really cool effect called “Dolly” mode. This mode essentially zooms in or out as you are retreating or closing in on an object. The mode truly plays with perspectives and gives you a very cinematic effect. Below is a quick glimpse at some of the capabilities from the Mavic 2 Zoom. Both of these drones are available now. $1499.99 for the Mavic 2 Pro and $1249.99 for the Mavic 2 Zoom. Both units can also be had with more accessories and batteries in “Fly More” bundles for an additional price. If you are looking to finally invest in a drone, these 2 new versions of the Mavic come highly recommended and offer exactly what you are looking for when it comes to todays tech! For us, we’ve got our eyes on that HDR capable Pro version!